For Boston’s Chinatown neighborhood, a large building is seeing a transformation. 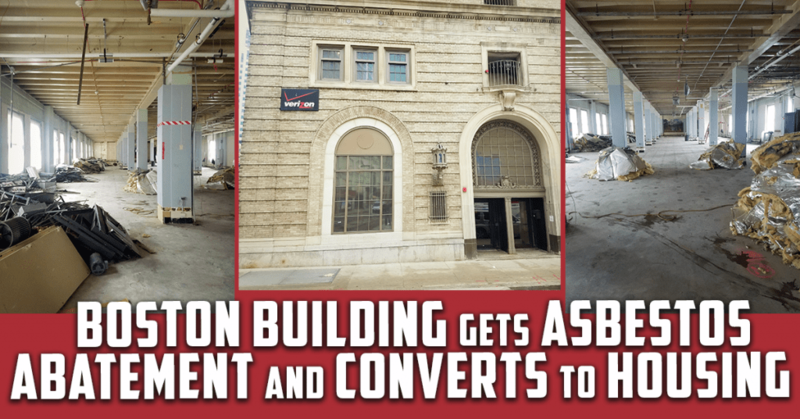 The Verizon building on Harrison Avenue is being converted into apartments and perhaps eventually condominiums. The $14 million project required a large asbestos abatement, which Banner Environmental Services provided. Next, Banner Environmental Services will focus on the interior demolition. The top three floors of the eight-story building will become 46 apartments, according to Cresset Development, who is leading the project. The building will include a handful of affordable housing units in an effort to help the city’s affordable housing challenges. The project is being referred to as the PBX Residences in plans filed with the Boston Planning & Development Agency (BPDA), formerly known as the Boston Redevelopment Authority (BRA). PBX is short for private branch exchange, a private telephone network used within an enterprise. For more on the environmental services that Banner Environmental Services provides, click here or contact us for your free estimate using our web form here or call 866-934-2374.